If you’re about to embark on a multi-day hike or some other similar adventure, you’re going to want to equip yourself with one of the top travel backpacks, which are especially designed to carry everything you need for multiple days. While there are numerous options available for the best big backpacks, if you’re embarking on an expedition, you’re going to need an expedition backpack that’s up for the job. For the purpose of this article, when I’m referring to expedition, I’m talking about multi day hikes, backpacking, and trekking. You may be doing a combination of all-day hiking, while spending your nights in basic huts, hostels, or hotels. 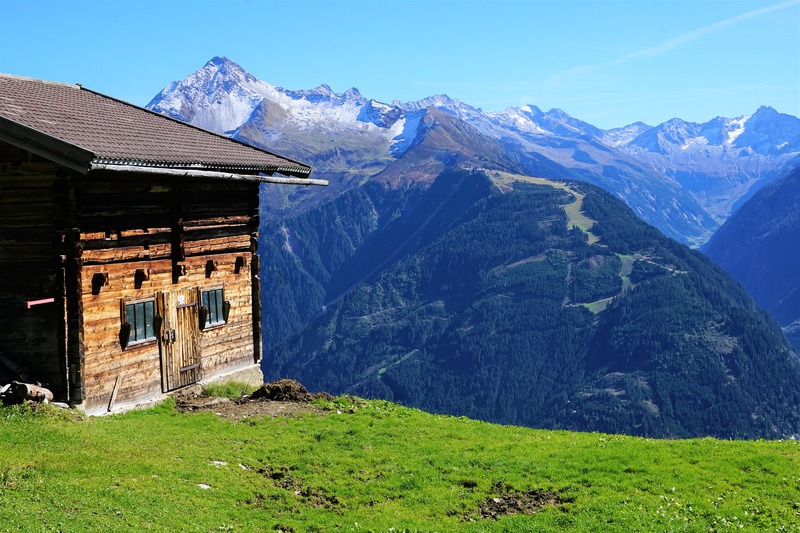 Think trekking in Nepal, walking the Camino de Santiago, or going from hut to hut in the Alps. Keep reading for a “quick look” table and thorough expedition backpack reviews. What I don’t intend to cover in these best backpack reviews is the type of high-quality backpacks you’d need for expedition climbing or cycling – I’ll leave that for another post. 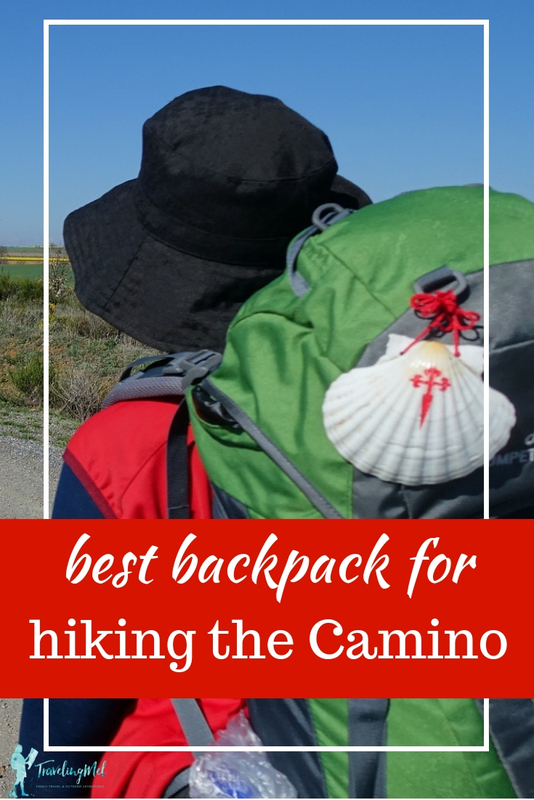 In these hiking backpack reviews, I will cover not only why you need one of the top-rated backpacks for your expedition, but also what to look for when making your purchase. I’ll take a closer look at some of the best quality backpack brands such as Osprey and Gregory Mountain as well as make some recommendations depending upon your individual priorities. 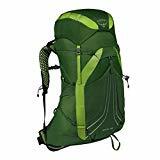 So whether you’re after the best backpacking backpacks for women or men, the best lightweight hiking backpack or the biggest hiking backpack, you’ll no doubt find exactly what you’re looking for in these expedition backpacking backpack reviews. Why wait? 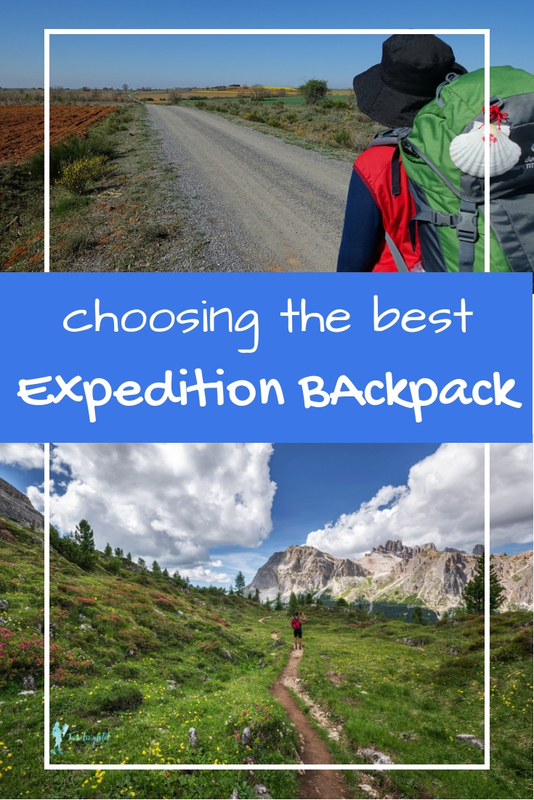 Read reviews and check prices on the best expedition backpack for women and the best expedition backpack for men. What Is An Expedition Backpack? An expedition backpack for hiking and camping, as opposed to any other backpack, is designed to be able to pack hiking and camping gear for multiple day hikes or treks. The best backpack trekking bags are also designed to be super comfortable which is essential given you are going to be carry this pack on your back for long periods of time. Why Do You Need An Expedition Backpack? Your standard backpack that you use to travel around Europe, or the USA, is not necessarily going to be the best multi day backpack. 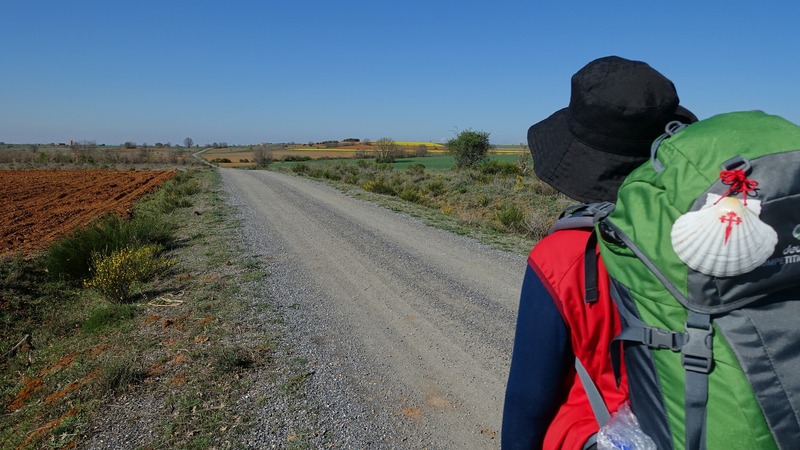 Chances are when you purchased your backpack for traveling around Europe you didn’t give it as much thought as is required for an expedition pack. When your backpacking around Europe you’re likely to only have your backpack on as you walk between the train station to your hostel, so fit and comfort are not as important as when you are carrying your pack for an entire day. 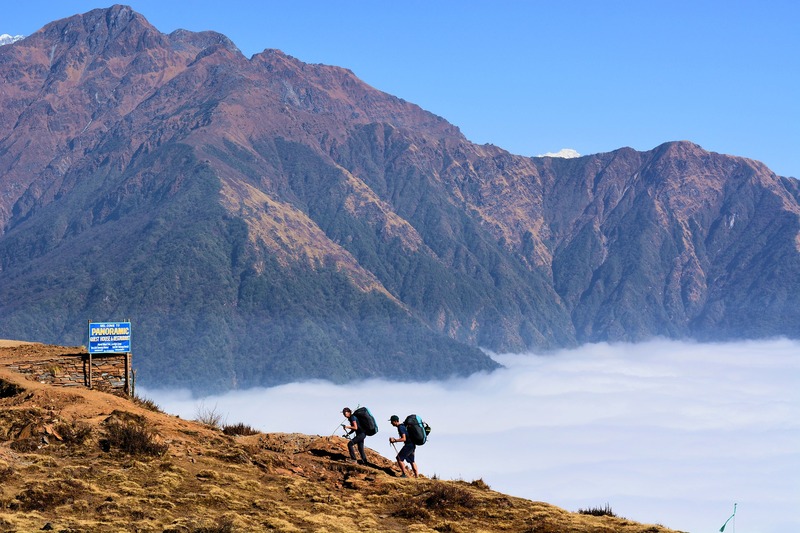 Not only will you carry your backpack for longer periods during a multi-day trek, but you will also be going over uneven and steep terrain which makes the fit and design of you backpack so much more important. However the good news is that the best backpack companies that make your everyday backpacks, also make some of the best backpacking bags for hiking and trekking. These brands have given much consideration into ensuring the hiking and camping packs they produce are the very best. When looking for the best backpacking packs, there is plenty to choose from, but they are not all created equal. 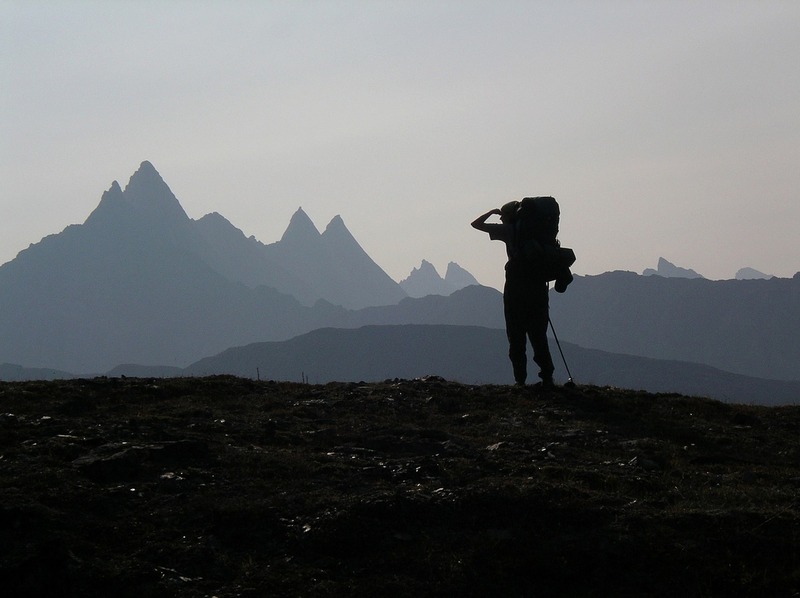 Consider the following factors to ensure you get the best expedition rucksack for you. The top hiking backpacks are lightweight, and the backpack you purchase should be as light as possible. There is no point having a heavy backpack that weighs you down before you even fill it. However, don’t compromise on durability for the sake of a lightweight backpack. All the most popular backpack brands do a fantastic job of making top quality backpacks that are not only lightweight but super durable as well. How Big Should Your Pack Be? The size of a backpack is referred to in liters. So the larger number of liters, the bigger the pack will be. As to what size pack you should purchase – you should only purchase a backpack as big as you need. Don’t be fooled into getting the biggest backpack in the world just because you can – this will only add unnecessary weight to your load. While all the best packs come with a range of pockets and compartments designed to keep your gear organized; the top-rated hiking backpacks contain a range of other useful storage. Things like external attachment points for a sleeping bag, loops for trekking poles or even skis are super convenient. 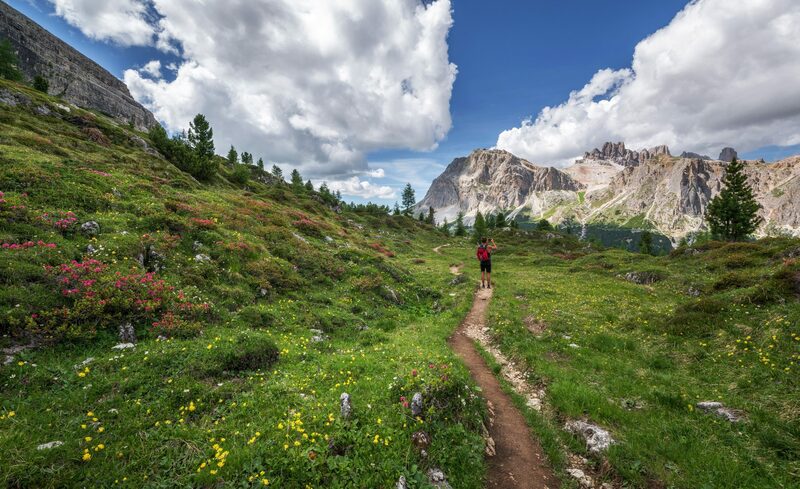 Consider what sort of equipment you will be carrying on your trek and ensure the backpack you intend to purchase has the capability to carry it. The best hiking backpack is waterproof or at the very least water-resistant. While most of the top backpack packs are water resistant, it won’t save you in a down pour. However what it will do is keep your contents safe while it takes you a minute or so to locate your rain cover and cover up your bag. Also having a water-resistant pack helps protect your contents if you accidently put your pack down somewhere where there is water or moisture on the ground. When you’re going on a multiple day trek, the most important factor must be how comfortable the pack is to wear. It doesn’t matter how many backpacks with cool features there are, if you’re back is hurting within an hour or so into your trek then you won’t be having a very good time. Adjustable shoulder straps to ensure you get the perfect fit. When it comes to your budget, just know that in most cases you get what you pay for. The best mountaineering packs are not cheap but having said that they need not cost the earth either. Consider spending a bit more and purchasing a trekking pack which comes with a good warranty, so you have peace of mind if something goes wrong. 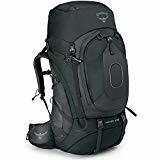 For example, I have listed many Osprey packs in these reviews as not only are they among the top 10 backpacks on the market, but they also come with the Osprey Almighty Guarantee which has them replacing or repairing anything on your pack no matter what. Ensure sternum straps are tight so that the shoulder straps are pulled inwards so that your arms can move freely. If you’re looking for the “best backpack in the world” for your next expedition, the Osprey Atmos for men and the Osprey Aura for women are the obvious choice. These packs are essentially the same pack with some subtle differences to consider the differences in the male and female body shape. Both the Atmos and the Aura comes in both a 50l hiking pack and a 65l hiking pack and is said to be the best fitting pack and suitable for trips of up to a week or more. To keep you hydrated during your trek, you’ll appreciate the built-in hydration reservoir sleeve, which can accommodate up to 3l reservoir. These packs contain a range of great features for your comfort including adjustable shoulder, sternum and hip straps. There is even a safety whistle attached to the sternum strap. When it comes to storage, there are plenty of pockets and compartments for keeping your belongings organized. It has side mesh pockets perfect for storing drink bottles, large front mesh pocket, and zippered hip belt pockets. It also includes a trekking pole attachment, dual ice tool loops, sleeping bag compartment, and sleeping pad straps. Other features include the removable floating lid top with dual zippered pockets and web attachment points. With all these features it’s a great choice if you’re after the best overnight hiking backpack. The Atmos comes in either small, medium, or large, while the Aura comes in extra small, small, and medium – so you can purchase the perfect size pack for your torso length. The packs also come in red, grey, or navy blue. The main difference between the Atmos and the Aura, is that the Aura comes with a shorter torso length, shoulder straps that are designed to sit on a narrower body and the hip belt is designed with a different waist and hip measurements in mind. 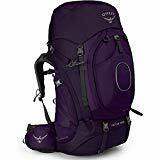 Osprey are so convinced that they have the best backpack ever, that as usual, these Osprey packs are backed by the all might Osprey guarantee which will provide peace of mind that you’re purchasing the best backpack for hiking and travel. Trekking bag brands don’t get much better than Deuter – a European company which specializes in hiking and camping accessories. The folks at Deuter make a range of top backpacking backpacks for both men and women just perfect for multi day trekking. These are without a doubt some of the best trekking backpack options currently on the market today. If you’re in the market for the best trekking bags, you’ll love the Aircontact and Aircontact Lite range by Deuter. The range of Aircontact trekking packs are durable with a modern slim design and are designed to carry heavier loads, while maximizing stability. Both the Aircontact range and the Aircontact Lite range include most of the same great features. These packs can store everything you could possibly need and more during your trek making them a most functional backpack for trekking. The big front opening gives you quick access to your belongings (Aircontact only). Pockets include a zippered pocket on the hip belt, a lid pocket, internal pocket, separate bottom compartment, wet laundry compartment, side pockets and side map pocket. For your additional items there are two daisy chains (Aircontact only), a loop for an ice axe and hiking pole, space for your hydration system, and top lid attachment rings. The pack also has side and bottom compression straps to keep your pack nice and compact. One of the cool things about these packs, is how you can use the lid as a separate, detachable backpack. Other great features of these really cool backpacks include a double layered base, height adjustable lid, and a detachable rain cover (Aircontact only). For your comfort these packs have adjustable, padded, and contoured shoulder and hip straps. The back panel is ventilated to ensure sweat is wicked away from your back. The Deuter Aircontact range comes in several difference sizes 45+10l, 55+10L, 65+10l and 75+10l. There are also three different sizes specifically designed for women including 40+10l, 50+10l and 60+10l. The additional 10l is the volume you will find in lid pouch which you can use as a separate daypack. The Deuter Aircontact Lite range on the other hand comes in sizes 40+10l, 50+10L and 65+10l. There are also three different sizes specifically designed form women including 35+10l, 45+10l and 60+10l. Both the Aircontact and Aircontact Lite women packs are designed with smaller buckles, shorter in length, more contoured hip belts, and narrower tapered shoulder straps to account for the narrower body shape. If you’re after the best rucksack for trekking, be sure to check out the Aircontact and Aircontact Lite range. 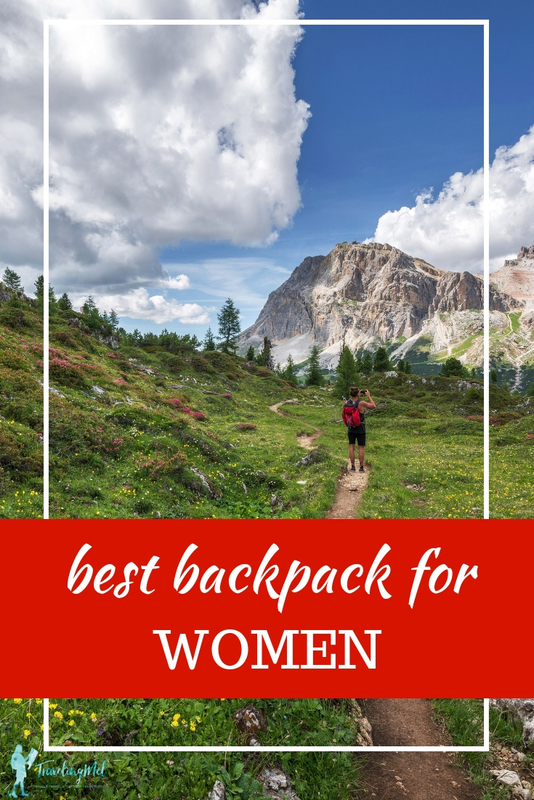 There are quite a few different backpack brands out there that make some of the best backpacks for women. However my recommendations for the best women’s backpack is a close call between the women’s Gregory Mountain Deva or the Osprey Xena. 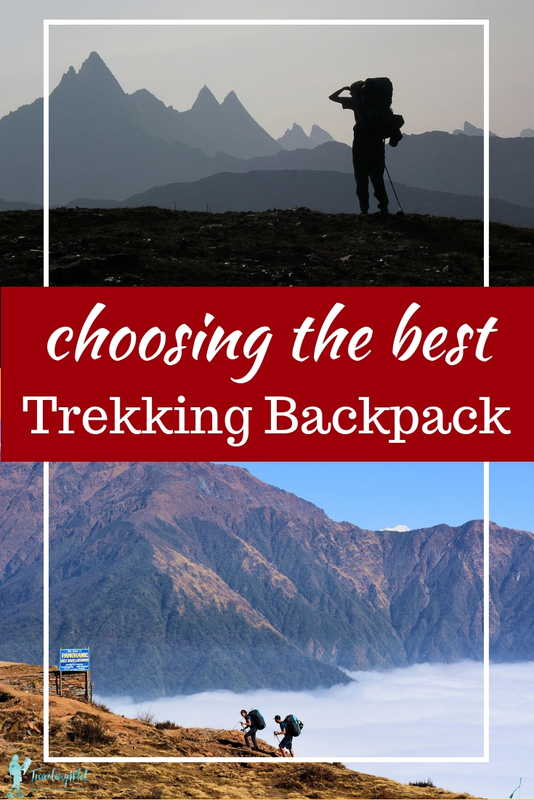 Either of these packs would make an excellent choice if you’re after the best women’s rucksack for trekking. The Deva by Gregory Mountain is a great looking women’s backpacking pack and comes in a range of great colors such as plum, green, or blue. Both the 60 and 70 liter packs also come in various lengths including extra small, small, and medium. Like any best adventure backpack, the Deva comes jammed packed full of features to ensure you get the most out of the pack. For your comfort the backpack includes hip belts made from EVA foam, a removeable lumbar pad and breathable back panel for airflow with multiple layers of foam for added support. All straps are padded and fully adjustable for the perfect fit. The pack has room for everything you need on your expedition. There is a full body zip on the front of the bag for easy access to your belongings as well as dual front zippered organization pockets. Other pockets include hip belt zippered pockets which are water resistant making them perfect for keeping your phone or camera, sunglasses pocket on the shoulder harness, easy access side pocket for your water bottle and side mesh pockets. There is also four top pocket attachment points for smaller hiking accessories. Other great features of this best women’s backpacking pack include a rain cover which is stowed in a zippered pocked under the top lid, removable hydration sleeve which also doubles as a daypack, zippered bottom sleeping bag compartment, and attachment loops for trekking poles or ice axes. Another great pack designed especially for the female body is Osprey’s Xena. 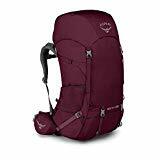 The Xena pack comes in 70 or 85 liters and in either green or plum. Like the Gregory Mountain Deva it also comes in either extra small, small,l or medium. 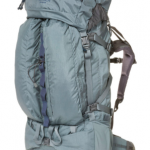 As this pack was designed with hikers and trekkers in mind it has some great features. It includes an external hydration reservoir sleeve which can accommodation a 3l reservoir, attachments for trekking poles or ice tools, sleeping bag compartment, and removable sleeping pad straps. This best travel hiking backpack has multiple access points, which makes packing and retrieving your items simple. Dual side zips allow you to get to your gear without having to remove the top lid. It also has plenty of compartments and pockets to keep your things well organized. The pack includes side pockets, two zippered front pockets, zippered hipbelt pockets for smaller items such as snacks while on the go, front mesh pockets for rain gear, and dual mesh side pockets perfect for water bottles. Keeping the female body shape in mind, the Osprey Xena has a range of adjustable straps (shoulder, hipbelt and sternum straps), to ensure the perfect fit. With interchangeable sizes, you can choose the perfect hipbelt for your body size. Other features of these hiking bags for sale include a removable top lid, which also converts to a smaller daypack, and dual side compression straps to ensure a compact load. Also like all Osprey packs, the Xena is covered by the famous Almighty Guarantee – it’s no wonder why Osprey are among the highest rated backpacks currently on the market. Just like for women, there are a range of backpacks designed with the male physique in mind. For my recommendations for the best backpack men, it’s a close call between the Gregory Mountain Baltoro or the Osprey Aether Ag. When it comes to the top men’s backpacks, the award winning Baltoro pack from Gregory Mountain is an easy choice. These packs come in a range of sizes including 65 and 75 liters as well as great looking colors including grey, red, and blue. Both the 60 and 70 liter packs also come in various lengths including small, medium and large. For your comfort, the Baltoro includes hip belts made from EVA foam, a removeable lumbar pad, and breathable back panel for airflow with multiple layers of foam for added support. All straps are padded and fully adjustable for the perfect fit. These good camping backpacks for men have room for everything you need on your expedition. There is a full body zip on the front of the bag for easy access to your belongings as well as dual front zippered organization pockets. Other pockets include hip belt zippered pockets which are water resistant making them perfect for keeping your phone or camera, sunglasses pocket on the shoulder harness, easy access side pocket for your water bottle, and side mesh pockets. There is also four top pocket attachment points for smaller hiking accessories and an additional two at the bottom of the pack for trekking poles or ice axes, making it a great choice for the best multi day hiking backpack. Other great features of these best hiking backpacks for men include a rain cover, which is stowed in a zippered pocked under the top lid, removable hydration sleeve which also doubles as a daypack, and zippered bottom sleeping bag compartment. The Aether AG packs are also a great men’s hiking pack. The Aether pack comes in a range of sizes including a 60, 70, and 85-liter pack as well as either small, medium or large so you can get the correct size for your body height. There are three colors to choose from: orange, blue, or green. 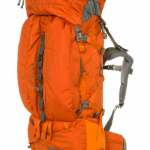 As this pack was designed especially with small expeditions in mind it has some great features. It includes an external hydration reservoir sleeve, which can accommodate a 3l reservoir, attachments for trekking poles or ice tools, sleeping bag compartment, and removable sleeping pad straps. All these features make this a great pack if you’re after the best trail backpack. This Osprey hiking pack has a side panel zip allows you to get to your gear without having to remove the top lid. It also has plenty of compartments and pockets to keep your things well organized. The pack includes zippered hipbelt pockets for smaller items such as snacks while on the go, front mesh pockets for rain gear, dual mesh side pockets perfect for water bottles. To ensure the perfect fit for everyone, the Aether pack has a range of adjustable straps including shoulder, hipbelt, and sternum straps. With interchangeable sizes, you can even choose the perfect hipbelt for your body size. Other features of these packs include a removable top lid, which also converts to a smaller daypack, and dual side compression straps to ensure a compact load. Also like all Osprey packs, the Aether is covered by the famous Almighty Guarantee so you know this is one of the best made backpacks. When it comes to the best lightweight hiking backpack, weighing in at just over 2 lbs, you can’t go wrong with any of the packs from Osprey’s Exos range. The Exos packs comes in a range of sizes including a 38, 48, and 58-liter pack as well as either small, medium or large so you can get the correct size for your body height. There are two colors to choose from being black or green. This lightweight backpack is made from super soft cushioned breathable material to ensure maximum comfort for long term wearing. It also includes a mesh back panel to keep sweat at a minimum. To ensure an individual fit for everyone, this best light backpack comes with padded and adjustable hip, shoulder, and sternum straps. The sternum strap also comes with a safety whistle. 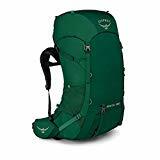 To keep your belongings organized, this best light hiking backpack includes two mesh side pockets for water bottles, front mesh pocket for rain gear, one rear pocket, and one top lid pocket. The pack also features trekking pole attachments, loop attachments for gear in the top lid, ice axe attachment and internal hydration reservoir sleeve for a 3-l reservoir. For an even lighter pack, there is the option to remove some of its features. Removable items include the sleeping pad straps, compression straps, and top lid. And of course this Osprey pack is backed by the Almighty Guarantee. When it comes to the most durable backpack, any of the Osprey packs mentioned in this article are a great choice. As mentioned throughout this article, Osprey not only makes a strong backpack to begin with but with the “Almighty Guarantee” they will fix or replace your gear no matter what. 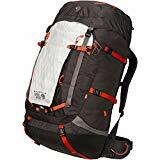 If durability is your priority the Rook and Renn range of packs from Osprey make a great choice for a strong backpack as does the Glacier range by Mystery Ranch. The Rook and Renn Series are essentially the same pack – Rook being designed for the male physique and the Renn being designed for the female physique. These packs are lightweight, featuring a simple design; with durability being the priority. To ensure the perfect fit for everyone, both the Rook and Renn have adjustable shoulder, hipbelt, and sternum straps. The packs also include a ventilated back panel as well as the unique torso adjustment system. As well as the main compartment, these packs include zippered hipbelt pockets for smaller items such as snacks while on the go, zippered pocket in the fixed lid, and dual mesh side pockets perfect for water bottles. Trail focused features include an internal hydration reservoir sleeve, sleeping bag compartment, and removable sleeping pad straps. Other features include the ability to attach the Osprey Daylite pack, raincover, and dual upper and lower side compression straps to ensure a compact load. Both packs come in a 50 or 65-liter pack, with the Rook coming in a color choice of either green or black, and the Renn coming in either plum or dark grey. Made from quality fabrics and with YKK zippers, the Glacier range of backpacks from Mystery Ranch are a good choice for those looking for not only a durable backpack but also the most comfortable backpack. And Mystery Ranch is a Bozeman, Montana company, so that’s close to my heart (and house). This spacious 71-liter pack comes in both male and female styles. The male pack comes in sizes small, medium, large, and extra large and comes in three color options – orange, navy, and wood. The female version comes in extra small, small, medium, and large, and just the one-color choice of bluish grey. This backpack has been especially designed to carry large loads with maximum comfort. The frame has been constructed in such a way as to ensure the weight of the load is in the wings and carried around the belt area. Additional features to ensure comfort for the wearer include an adjustable padded hip belt and shoulder straps, as well as an adjustable sternum strap. This durable pack is top loading and contains multiple compartments for organization. There are two compartments in the lid, and two external pockets and water bottle pockets. There is also a side zip access to the main compartment for easy access. Other features include a sleeping bag compartment, tool attachments, hydration reservoir compatible sleeve, as well as the lid converting to a day pack. Buy the Mystery Ranch Glacier Pack and Mystery Ranch Women’s Glacier Pack online. While it’s not generally recommended to take super large packs hiking with you, for those treks where you have loads of gear to take, then the Mountain Hardwear BMG 105 liters or the Osprey Xenith 105 liters are your best bet. For the ultimate large hiking backpack, the BMG 105 from Mountain Hardwear is the obvious choice. With professional trekking guides in mind, this backpack has been designed to carry the heaviest of loads while also being comfortable to wear. This pack fits the curve of your back beautifully and evenly distributes the weight of the load. Additional features to ensure comfort for the wearer include adjustable multi density padded hip belt and shoulder straps, as well as an adjustable sternum strap. As well as the main compartment which is waterproof to keep your gear protected in wet weather; there are a few additional pockets to keep your belongings organized. There is a large zippered front pocket for frequently needed items, as well as a removable top pocket with internal zippered pocket for valuables. Trail focused features include gear loops from the hipbelt, multiple lash points, crampon stash pocket, ice axe attachment, lower accessory strap (which doubles as compression straps), reinforced web haul loops for pulling heavy items such as sleds, and attachment points for climbing gear or skis. You probably won’t always want to fill this lightweight waterproof backpack to the brim, so you’ll appreciate the flexible design and compression system which helps you reduce the size of the bag as necessary. This pack from Mountain Hardwear comes in two sizes small/medium and medium/large. The Xenith 105-liter backpack is a great choice if you’re after Osprey’s best large travel backpack. To get the perfect length this spacious pack comes in medium, large, and extra large and comes in dark grey only. On those multi day treks you’ll appreciate its trail focused features. It includes an external hydration reservoir sleeve, which can accommodate a 3l reservoir, attachments for trekking poles or ice tools, sleeping bag compartment, and removable sleeping pad straps. This Osprey hiking pack has multiple access points, which makes packing and retrieving your items simple. The side panel zip allows you to get to your gear without having to remove the top lid. It also has plenty of compartments and pockets to keep your things well organized. The pack includes zippered hipbelt pockets for smaller items such as snacks while on the go, front mesh pockets for rain gear, dual mesh side pockets perfect for water bottles, and two zippered front pockets. It also has dual side compression straps to ensure a compact load. To ensure the perfect fit for everyone, the Xenith pack has a range of adjustable straps including shoulder, hipbelt, and sternum straps. With interchangeable sizes, you can even choose the perfect hipbelt for your body size. With all the features you’d expect from a top-quality backpack and the massive 105 liters, the Xenith is a great choice for those after the best large backpack.